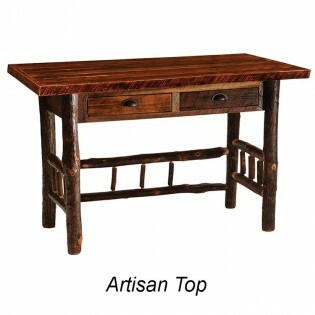 The Barnwood Writing Desk with Hickory Legs is made from reclaimed Red Oak planks from 1800's tobacco barns. 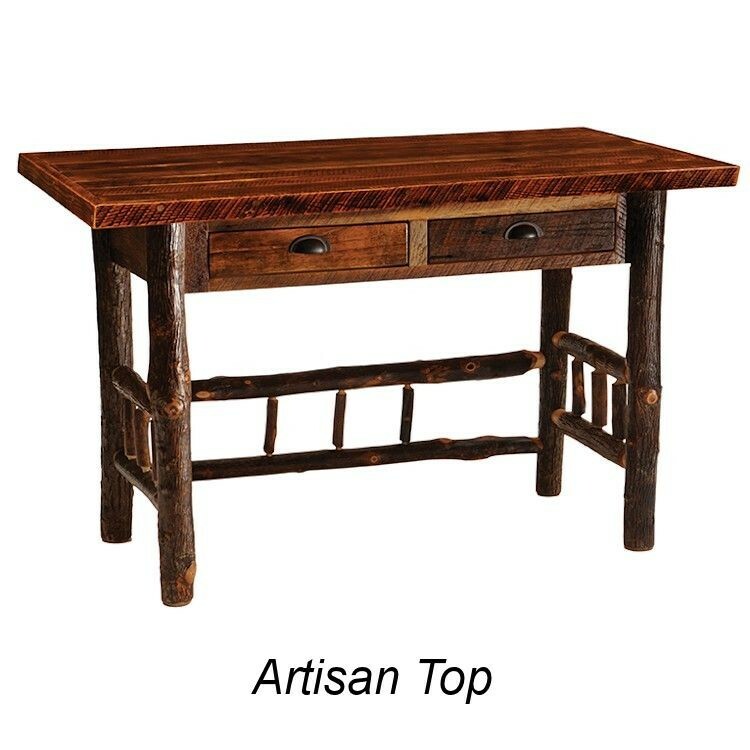 Each individually hand crafted piece features your choice of top finish and a dull catalyzed lacquer finish that is extra durable and retains the wood's natural character and is accented with legs made from kiln dried Hickory logs and antiqued rusted iron hardware. Two dovetailed drawers are inset for added beauty and quality. There is a client overhang on backside of desk. Artisan - Barnwood boards with natural character and a clear coat finish. 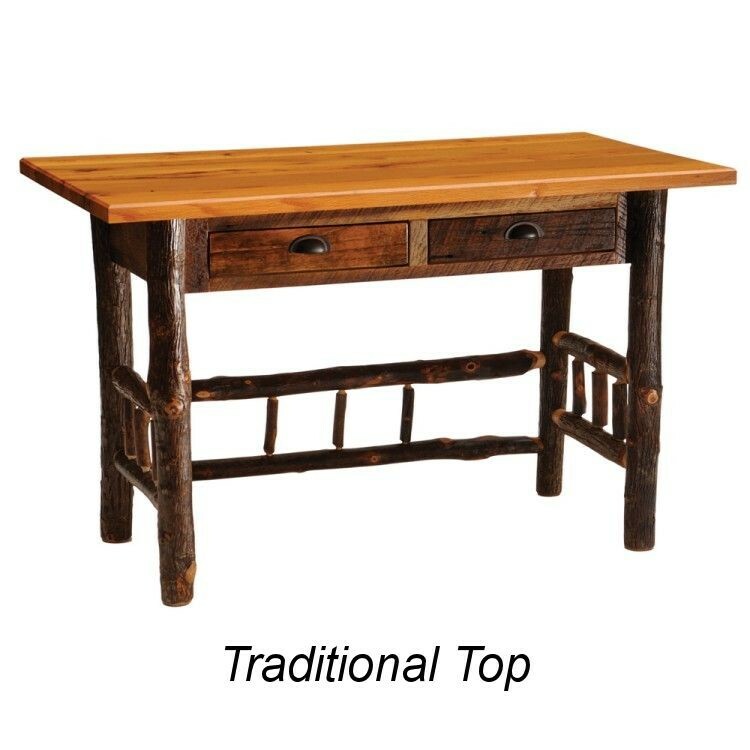 Color of top will vary depending on the actual boards used.